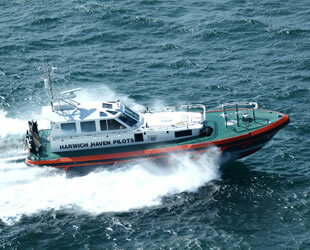 Harwich Haven Authority took delivery of their second 16m Pilot Boat on 26th August 2011. The "Saint Christopher" had a faultless transit around from North Wales which took three days. This second boat, joins its sister vessel "Saint Brendan" which has been in service since May 2010..